December has arrived and Navidad is only a few weeks away! This month's freebie from our sponsor, Spanish for You! is a bilingual booklet that you can use to boost your child's Spanish vocabulary associated with Christmas. Today's printable is a 4-page activity that comes with an audio file for learning proper pronunciation. 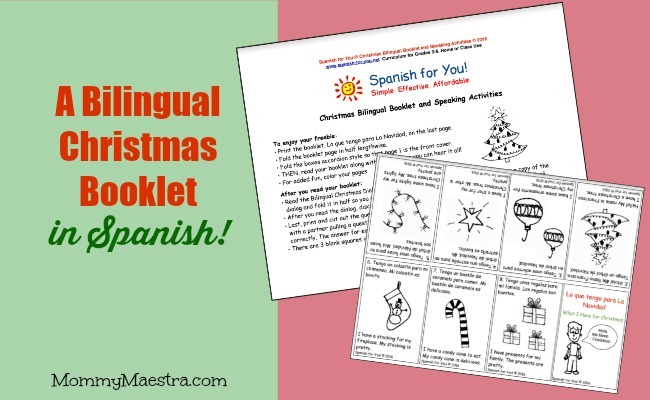 Your little Spanish learners will learn key words for the season while assembling and reading their booklet, and there is also a bilingual Christmas dialogue you can print up and use to practice speaking aloud.